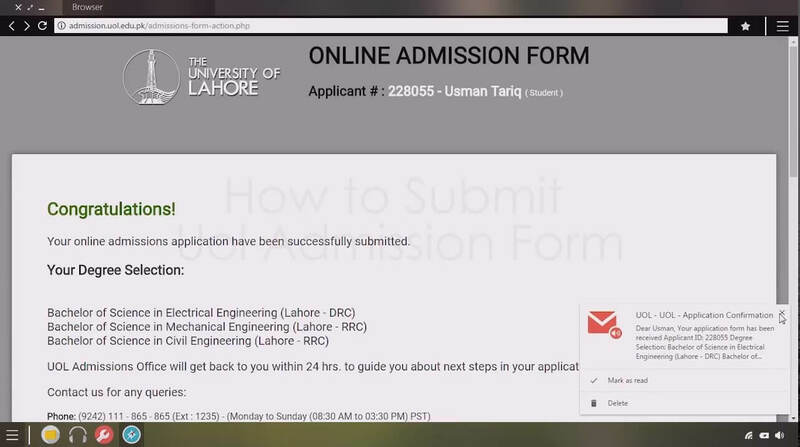 Applying for University of Lahore is not frustrating and hard like other universities. 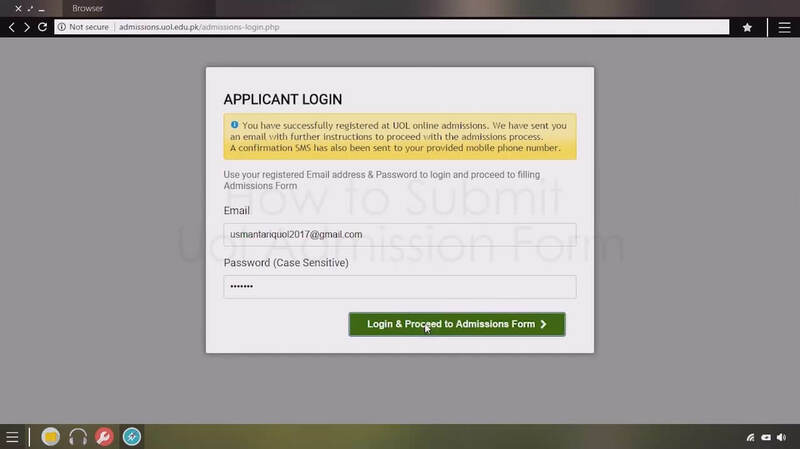 If you have the internet connection, you can apply online in no time. University of Lahore (UOL) is one of the largest private universities of Pakistan, and is accredited by HEC, PEC, PM&DC, PCP, PNC, and PBC. 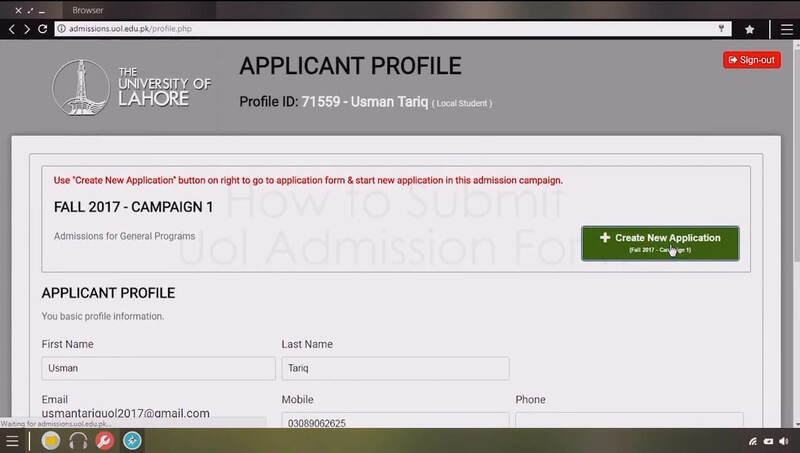 Go to admissions.uol.edu.pk and click on Register as New Applicant. Now enter your first name, last name, country of origin, city, source of information, e-mail address, and mobile number. 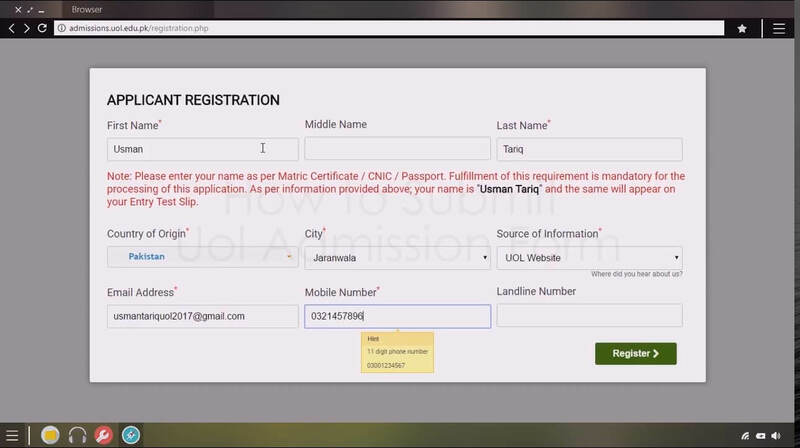 The name should be the same as written on your CNIC or B-Form. An e-mail will be sent to your e-mail where you will get your Profile ID and the password. Then Click to Proceed, It will redirect to another webpage. 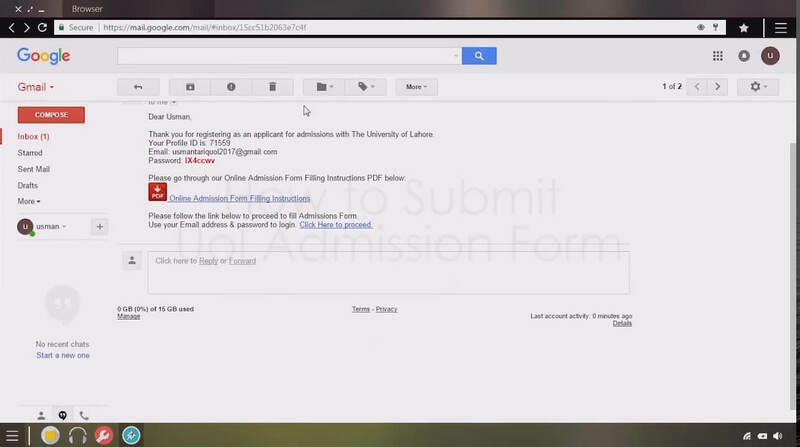 Now write your e-mail and password sent to your e-mail. New click on Create New Application. Now the most important task comes into play. 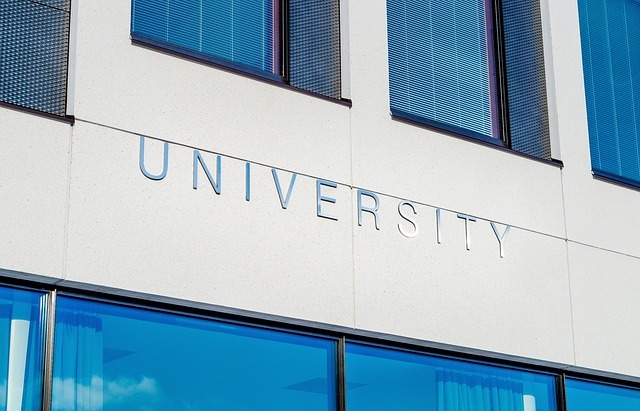 You have to select 3 degrees that you want to be selected for UOL. 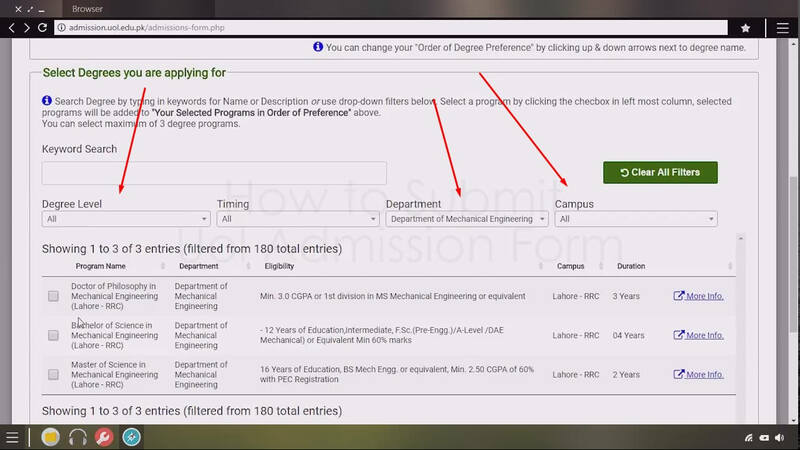 You can select the specific department that will show you the degrees. You have tick the program which you want to selected. Once done, click NEXT. Provide the essential information. You have to upload the picture will white background. The size should be less than 1MB. If your photo is big in size, you can reduce size with this site where you have to upload the photo, click continue, it will make the photo less than 50%. 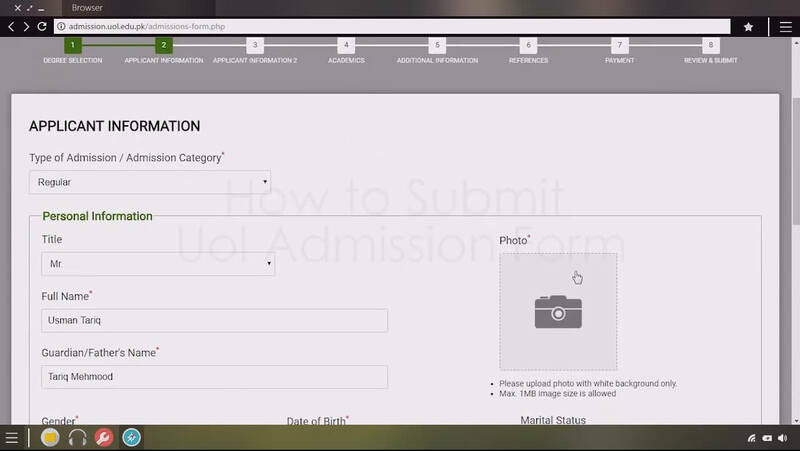 Now click Next and fill the Applicant Information 2 where you have to write the NIC of your father and other similar information. You have write your marks you got in SSC and HSSC and upload the attachment. You can take pictures with your smartphones, but it should be visible, and then upload. then click NEXT. In the Additional Information, you can provide your work experience, extracurricular activity and Disability. The same goes for References if you have, you can give. 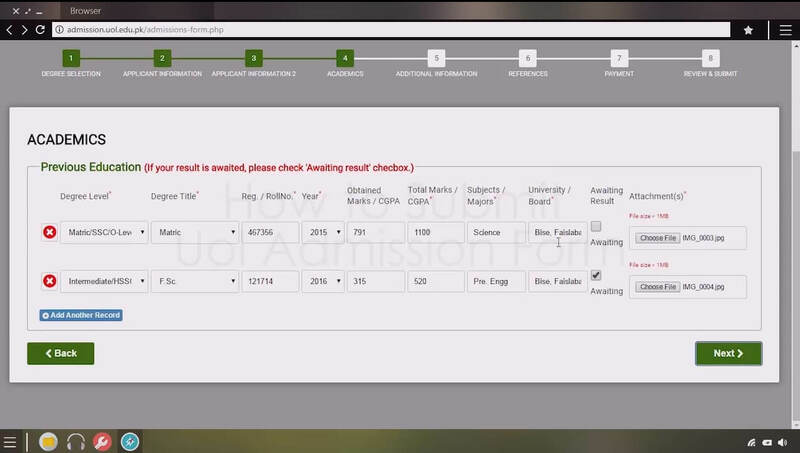 Then you have to write the Voucher Payment and Prospectus/Form Number. 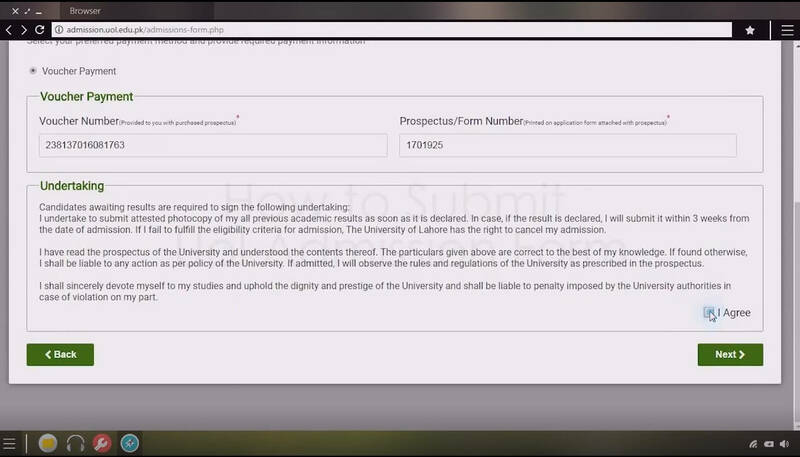 This task is somewhat daunting because you have to buy the prospectus and deposit the money to the bank. Step 10 - Review and Congratulations! You have to review the information that you have filled. In case, you find something wrong, you can go back and edit the wrong information. Then click Submit. Now ready for the Entry Test! 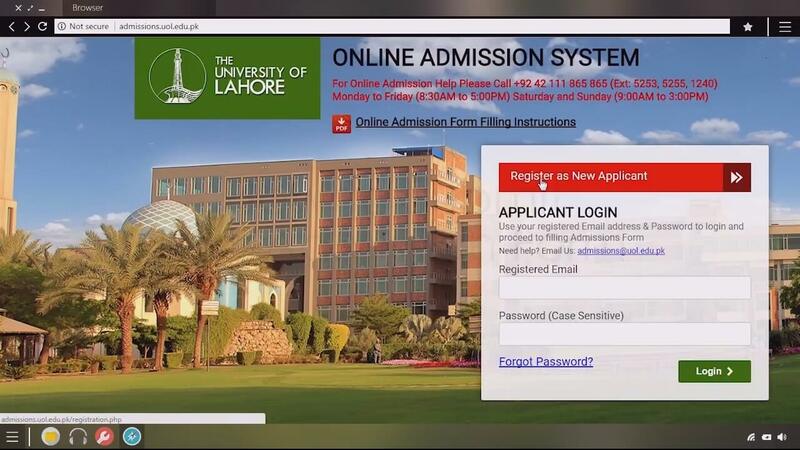 Are you looking for the information how to apply to University of Lahore (UOL) and fill its online form for BS, MS or for any program? Here I explained with all 10 steps.